We are Home buyers, Home Seller's Electrical survey specialists. What does this mean ?. It means if you are buying a house in Leeds, Bradford, Wakefield, York & Harrogate or Yorkshire in general we specialise in providing you with a home electrical report prior to the signing for the property. We photograph items within the property that we think is going to cost you money rectifying and provide you with a comprehensive written report with photographs and a certificate for the electrical inspection. We save home buyers and home sellers thousands in rectification costs with our electrical Home surveys. We liaise wiht the estate agents on your behalf and submit our surveys in electronic pdf format so you can view it with ease and forward it on to your solicitors straight away and negotiate the costings prior to signing. We inspect all electrical wiring within the home as part of the home electrical survey, we also inspect the fixtures and fittings as part of the home electrical survey process. We take photographs of faulty items and provide a comprehensive report for you with estimations on the price to correct remedial work. call 0800 779 7472 to book your Home Electrical survey in. Similar to the Home Electrical Buyers Survey we also provide the Home Electrical Sellers Survey in Leeds, Bradford, Wakefield, York & Harrogate or Yorkshire in general we specialise in providing you with a home electrical report prior to the sale of your property. We photograph items within the property that we think is going to need rectifying and provide you with a comprehensive written report with photographs and a certificate for the electrical inspection. We save home sellers thousands in rectification costs with our electrical Home surveys and provide the property with a clean certificated bill of health prior to sale. If you are selling your home then as part of the process the potential buyer will require a full electrical survey of the home to check if any remedial work will be required, we specialise in home electrical sellers surveys whereby we provide you with a full written report, costings and certificate for the home. call 0800 779 7472 to book your Home sellers Electrical survey. We are specialists in Electrical Installation Condition Reports in Leeds, Bradford, Wakefield, York & Harrogate. We provide Landlord certificated Electrical certificates for rented properties. Rental properties are subject to a 5 year fixed wiring text therefore a as landlord of a rented property you are obliged to ensure the building is safe for continued use for electrical safety. Residential home owners are subject to a 10 year certificate of safety. Commercial & Industrial clients are also bound to a 5 year electrical safety certificate. The following tests are carried out on a Electrical Installation Condition Report in Leeds, Wakefield, Bradford, York & Harrogate. What is a Electrical installation condition report (EICR)? A Electrical installation condition report (EICR) is a formal method of recording the findings of the periodic inspection in Residential, Commercial & Industrial installations. The main purpose of a EICR is to report on the safety condition of an existing installation. It should describe the overall condition as either 'satisfactory', in which case no immediate remedial work is required, or 'unsatisfactory' which means remedial work is required to make the installation safe to use or safe for continued use. Where a EICR describes the installation as 'unsatisfactory', the next thing to look at is 'Observations and Recommendations for Actions to be Taken'. This is where any departures from BS 7671 are recorded, and a code to indicate the urgency of the action needed is given. These codes are ranged from 1- 4 with 1 being the most serious working down to requires further investigation or non compliance. We specialise in Portable Appliance testing, portable appliances is defined as any appliance with a plug top that plugs in. We conduct portable appliance testing in Leeds, Bradford, Wakefield, York & Harrogate for Residential, commercial & Domestic clients. We offer discounts for clients with multiple properties or premises and will not be beaten on price. All portable appliance testing comes with a certificate submitted to you in PDF format. We conduct Commercial retail outlet fixed wire testing for stores throughout the UK. 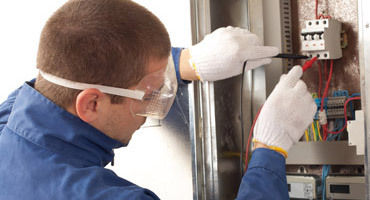 We conduct contract packages based on a 20% test or a entire 100% test of the buildings consumer units and connected items. We charge a fixed amount per circuit inspected and tested and provide certification. We submit RAMS to commercial shopping centres and are fully versed in the submission of Risk Assessment & Method of statements submissions. We liaise with shopping center management and provide RAMS documents and are fully versed in the Commercial inspection of retail outlets in Leeds, Bradford, Wakefield York & Harrogate. We conduct emergency lighting inspection and testing in Leeds, we also provide reactive maintenance for emergency lighting in all the shopping centres for our commercial clients throughout Yorkshire. Uppon our inspection if we find any faulty lamps or batteries we can replace them at the same time. Emergency lighting units should last for upto 4 hrs on battery mode, if the batteries do not last for this duration then we can replace them whilst on site. We conduct certificated Emergency Lighting inspections for Commercial, Industrial & Domestic rentals throughout Leeds, Bradford, Wakefield, York & Harrogate. Call 0800 7797472 to book in today. Portable Appliance Testing is subject to a 12 month rule for commercial, industrial & domestic rental properties. What does this mean ? It means any items that plug in such as kettles, fridge freezers, microwaves, televisions are all subject to a yearly portable appliance test to ensure electrical safety. We provide Portable appliance testing in Leeds, Bradford, Wakefield, York & Harrogate for a fixed certification fee and per item charge. The more items we portable appliance test the cheaper the price per item. We portable appliance test office complexes, industrial units & Domestic properties. We conduct Ionisation smoke and heat detection inspection and testing on stand alone & addressable fire detection systems in Leeds throughout Yorkshire. If you are a Commercial client requiring Fire Alarm Testing In Leeds or any part of West Yorkshire we specialise in laising with center management prior to inspecting your commercial fire alarm system and are versed in the auxilliary shutdown systems linked in with such systems. Contact us today to book in your commercial/industrial fire alarm test today in Leeds, Bradford, Wakefield, York & Harrogate on 0800 7797472. For our Commercial & Industrial clients we conduct fire extinguisher checks at commercial retail outlets and have a comprehensive stock of both red and aluminium replacement fire extinguishers should your installed fire extinguishers be out of date. We also install and replace fire safety signage in commercial stores throughout Leeds, Bradford, Wakefield York & Harrogate. Call us on 0800 7797472 to book in your commercial Fire Safety checks in your Yorkshire stores. We conduct Industrial Unit fixed wire testing & thermographi imaging for Industrial clients throughout the UK. 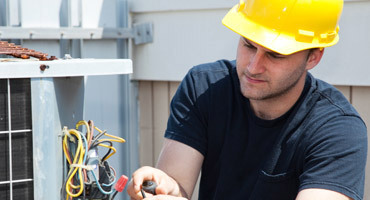 We conduct contract packages based on a 20% test or a entire 100% test of the buildings consumer units and connected items. We charge a fixed amount per circuit inspected and tested and provide certification. We specialise in Industrial unit emergency lighting inspection and testing throughout Yorkshire, we have access to high access equipment to test high level highting and provide a maintenance solution. We conduct Ionisation smoke and heat detection inspection and testing on stand alone & addressable fire detection systems throughout Yorkshire. If you are a Commercial client we specialise in laising with center management prior to inspecting your commercial fire alarm system and are versed in the auxilliary shutdown systems linked in with such systems. contact us today to book in your commercial/industrial fire alarm test today in Leeds, Bradford, Wakefield, York & Harrogate on 0800 7797472. For our Industrial & Commercial clients we conduct fire extinguisher checks at commercial retail outlets and have a comprehensive stock of both red and aluminium replacement fire extinguishers should your installed fire extinguishers be out of date. We also install and replace fire safety signage in commercial stores throughout Leeds, Bradford, Wakefield York & Harrogate.